The study was performed to determine as to whether antioxidant potential (enzymatic and non-enzymatic antioxidants) as well as some other attributes could be used as potential drought resistance markers in two maize lines (B73 and MO17). Under water deficit conditions, growth traits, relative water content (RWC), chlorophyll a, total chlorophyll and carotenoids as well as grain yield decreased significantly in both lines compared to those under control conditions. In contrast, water deficit caused a significant increase in the activities of superoxide dismutase (SOD) and catalase (CAT) isozymes as well as levels of glycine betaine (GB), proline and malondialdehyde (MDA), whereas total phenolics, total soluble protein, H2O2, chlorophyll b, chlorophyll a/b ratio, anthocyanin and peroxidase (POX) isozyme activity remained unaffected in both maize lines. Although water deficit stress induced oxidative stress in both maize lines, the enzymatic and non-enzymatic antioxidants and key organic osmolytes increased significantly in both maize lines. For example, SOD isozyme activities, and GB and proline contents were considerably greater in relatively drought resistant MO17 than those in relatively drought sensitive B73. However, in contrast, CAT activity was higher in B73. Overall, SOD isozyme activities, and GB and proline contents were found to be potential biochemical indicators of drought resistance in the two maize lines used in the present study. Plant responses to abiotic stresses such as drought, salt, and heat, have been studied separately, but in fact, plants are exposed simultaneously to a combination of stresses. Therefore, the objective of this study was to explore the morpho-physiological responses of the guar plant to the combination of heat, drought, and salinity with respect to that to an individual stress. Five treatments including heat, drought, salinity, a combination of multiple stresses and control were applied to two guar accessions namely “BWP-5595” and “24320”. The results showed that heat stress enhanced biomass, plant height, leaf number, leaf elongation, and prolonged time to flowering. However, it reduced root length and water use efficiency, but it had moderately negative effect on leaf area, stomatal conductance and number of pods. Contrastingly, drought stress improved root length, water use efficiency, and leaf elongation. It affected negatively leaf area, plant height, and prolonged days to flowering. Drought stress moderately reduced leaf number, biomass, stomatal conductance, and number of pods. Comparatively, salinity stress had a moderately negative impact on all studied traits except leaf number, which was reduced significantly. However, the combination of multiple stresses severely affected all studied traits except water use efficiency. These results show that the adverse effects of the combination of all three stresses were more pronounced than those of either of the individual stresses. Of the two guar accessions used, BWP 5595 showed better performance than accession 24320 in most of the traits measured. This indicates that the effect of multiple stresses differs among the accessions of a species. The C2H2-type (Cys2/His2-type) zinc finger proteins are transcription factors which play important roles in growth, development and tolerance ability to adverse stresses. We characterized STF-2 from Glycine max to determine its molecular structure and biological function. The results showed that STF-2 was a novel plant C2H2-type zinc finger protein gene and encoded a 26.7-kDa protein comprising 249 amino acids. STF-2 is strongly expressed in flowers and leaves but only weakly expressed in stems and roots. We constructed a plant expression vector with STF-2 gene and transformed it into tobacco. We found that overexpression of STF-2 enhanced drought tolerance in transgenic tobacco. Our results indicate the STF-2 plays an important role in soybean response to drought stress; furthermore, plant resistance to adversity can be improved by exogenous expression of this gene. Proline is a generally accumulated osmolytes in plants under salt stress. Overexpressing P5CS gene for more proline production is considered as an effective strategy to improve plant salt tolerance. In this study, KvP5CS1 was cloned from a halophyte Kosteletzkya virginica and transferred to the genome of tobacco (NC89) by Agrobacterium-mediated method. Under normal condition, there is no obvious difference in the growth, chlorophyll and proline content, malondialdehyde (MDA) content, superoxide dismutase (SOD) and peroxidase (POD) activity between wild-type (WT) and transgenic seedlings, except that catalase (CAT) activity in wild type was lower than that in transgenic seedlings. However, after treatment by 200 mM NaCl stress for 14 days, transgenic seedlings grew better and showed higher levels of chlorophyll and proline, stronger antioxidant enzyme activities, lower level of malondialdehyde (MDA) than wild type seedlings. These results suggested that overexpression of KvP5CS1 resulted in proline accumulation, stronger antioxidant capacity and increased salt tolerance in transgenic tobacco, indicating KvP5CS1 was involved in plant salt tolerance and might be a promising gene to breed salt-tolerant crops growing in salinized farmlands and coastal lands. Silicon (Si) is a beneficial nutrient for plant growth and productivity. Our investigation was conducted to study the influence of Si application for ameliorating the adverse effects of salinity on rice through sodium regulation in plant tissues. Three same textured soils (sandy clay loam) with different electrical conductivity (ECe: 2.85, 5.28 and 7.57 dS m-1) and pH (8.1, 8.6 and 8.9) were collected at 0-15 cm depth from the Bahauddin Zakariya University Agricultural Farm in Multan, Pakistan. The Si @ 50, 75 and 100 mg kg-1 as calcium silicate was applied to pots containing 10 kg sandy clay loam soil (sand 48%, silt 17%, clay 35%). A control without Si application was also maintained. The completely randomized design in 3 × 4 factorial experiment with three replications was established. Thirty days old, seedlings of Kernel Basmati rice were transplanted manually and standard cultural practices were followed. Results showed a significant (p<0.05) effect of soil salinity on rice growth and yield parameters. A reduction in grain, straw, leaf and root concentrations of Si, P and K/Na was observed under salinity; however, Si application at 100 mg kg-1 ameliorated the salinity stress and significantly increased the root/shoot dry weights, tiller numbers, grain numbers per spike, paddy yield, harvest index, and P and Si concentrations in root, straw, leaves and grains over control though similar to Si @ 75 mg kg-1 for shoot dry weight, number of tillers, harvest index, grain/root P concentration and leaf Si concentration. The Si application affected K/Na by increasing K uptake with an associated decrease in Na concentration in plant tissues. Thus, Si application at 100 or 75 mg kg-1 soil (200 or 150 kg ha-1) could be a useful strategy for rice production in salt-affected lands. Shoot dry weight, Number of tillers. Harvest index, Grain/root P conc., Leaf Si conc. Water stress (drought) is one of the most important abiotic factors influencing plant growth parameters, accompanied by changes in biomass ratios and physiological and biochemical alterations depending on the severity and duration of drought exposure, as well as plant species. Total lipids and fatty acids (FA) are major components of the plant cell, and can be used to understand changes in cell lipid concentrations under water stress. In this study, the aim was to investigate the responses of total and fatty acids (FA) being major components of the plant cell, are required to be understood of changes of compositions of cell lipids under two water stress levels and recovery periods by rewatering of Cucurbitaceae members. Total lipid and gas liquid chromatography (GLC) analyses indicated that the species behaved differently with respect to water stress levels and recovery periods. Linolenic (18:3) and eiocosenoic acid (20:1) accounted for the biggest proportion of FA in all species. The major effect of water stress was seen in proportions of 18:3, which increased significantly in leaves of Cucurbita pepo under moderate stress (MS) and severe stress (SS) , whereas it remained unchanged in Cucumis melo under both treatments, but decreased significantly under SS in Ecballium elaterium. During recovery, further changes in FA percentages occurred at different rates in individual species. For the short recovery period determined after 2 days rewatering, the total leaf lipid content increased significantly in previously stressed plants. The effect of the longer recovery period (4d rewatering), was accompanied by a continued increase of total lipid content in all plants in previous MS and SS treatments, and was significant in MS and SS Ecballium compared to control plants. Abiotic stresses are the key hazard limitation to plant development and sustainable agriculture throughout the world. The investigation of stress tolerant genes by genome scale transcriptome analysis will provide opportunities for the development of stress tolerant crop varieties. Here, we report a potential stress tolerance gene HSP17.6B (AT2G29500) in Arabidopsis thaliana that can confer tolerance to Arabidopsis plants upon overexpression. HSP17.6B overexpression resulted in higher root elongation, increased plants survival rate, reduced electrolyte leakage and retention of chlorophyll contents under heat stress condition in comparison to wild-type plants. Overall, we showed AtHSP17.6B as a potential heat stress tolerance candidate in Arabidopsis thaliana. Potassium (K) is an essential plant nutrient. The significance of potassium can be appreciated by observing plants grown under K+-deficient conditions, which greatly restricts growth and development and results in loss of crop quality and yield. Flax (Linum usttatissimum L.) is a significant economic crop that is often negatively impacted by K+ deficiency. To highlight K+ deficiency response mechanisms and increase flax potassium absorption and utilization ratio, flax variety Sofie was studied by studying seedlings after growing with or without K+ supply for 12h and 96h. cDNA was sequenced using an Illumina system. Genes involved in different regulatory mechanisms of K+-uptake during 12h and 96h stress were identified. In the K+-starvation group, 1154 and 247 differentially expressed genes (DEGs) were discovered after 12h and 96h of starvation, respectively. The results showed that 546 DEGs were annotated to 46 transcription factor families, 262 DEGs were annotated to signal transduction proteins or as participants in signal transduction pathways, 102 DEGs were annotated to hormone response proteins and 106 DEGs were annotated to transporter proteins. Multiple ion channels were also identified among the DEGs, including ion channel proteins homologous to AKT channels, KAT channels and CNG ion channels. This is the first study to analyze molecular response mechanisms of the flax transcriptome in response to K+ deficiency. These data provide numerous candidate genes with K+ deficiency that should guide future studies to elucidate plant strategies for adaptation to potassium deficiency. Effects of shading on photosynthesis characteristics and seed yields of treepeony ‘Fengdan’ (Paeonia ostii ‘Fengdan’). This study investigated the effects of shading on photosynthesis, other physiological and biochemical characteristics and seed yield of tree peony (Paeonia ostii FengDan).The results showed that under the natural full sunshine, the net photosynthesis (Pn) of tree peony had a mid-day depression from 12: 00pm to 4:00pm, also the total chlorophyll and the relative content of chlorophyll a and b as well as seed yield were lower compared to 25% shading condition. There was almost no mid-day depression under the condition of 25% and 50% shading, also the total chlorophyll content and the relative content of chlorophyll a and b were both higher in comparison with the full sunshine condition. Pn and seed yeild maintained a higher level all day under 25% shading. Whereas Pn had the lowest level all day under 75% shading and the yield was also declined. It is concluded that tree peony (FengDan) would grow the best and have a high yeild under the condition of 25% shading. Detection of cytogenetic and genotoxic effects of gamma radiation on M1 generation of three varieties of Triticum aestivum L.
The effects of 60Cobalt (60Co) gamma radiation on cell division and chromosomal structure in M1 generations of three varieties (NKU Lider, Bezostaja and GK Beke’s) of Triticum aestivum L. genotypes were determined in this study. To understand and compare the tolerance of on three bread wheat varieties to gamma radiation (100, 200 and 300Gy), the frequency of mitotic index, phase indices and genotoxicity rate were scored and statistically interpreted under irradiated and unirradiated conditions, respectively. In parallel with the increasing radiation dose, mean mitotic index rate decreased in NKU Lider and GK Beke’s genotypes. 100Gy 60Co gamma radiation application of NKU Lider was the most powerful genotype to increase mitotic activity as compared to other genotypes. However; depending on increasing dose of gamma radiation, cell division decreased in all studied genotypes except 200Gy application of Bezostaja genotype. Moreover, genotoxicity index of M1 generation in NKU Lider genotype was decreased in all studied radiation doses with the increasing dose of 60Co. Furthermore, three different variety of T. aestivum L. seeds treated with different doses of 60Co gamma radiation showed many aberrant chromosomes such as disorderly prophase, stickiness, uncoiling chromosomes, disrupted equatorial plate, fragment, micronucleus, alignment anaphase, fault polarization, anaphase and telophase bridges, lagging chromosomes and stickiness in all mitotic phases. Consequently, the results suggest that gamma radiation effects are specific to the radiation dose and species, and even show different responses in different varieties of the same species. Genetic diversity and relationship of Dongting biluochun tea germplasm in Suzhou revealed by SSR markers. Dongting Biluochun (DTBLC) tea is one of the top famous tea in China, which is originated from Suzhou city, Jiangsu Province, China. Generally, DTBLC tea is processed using ‘Dongting population’, which have a great genetic diversity. However, little information has been found so far on its genetic diversity. In order to unveil the relationship among the DTBLC germplasm, 68 tea accessions collected from Suzhou geographical origin growing area were analyzed by using 36 pairs of polymorphic simple sequence repeat (SSR) primers. Finally, a total of 68 tea accessions generated 158 alleles with a mean of 4.39 alleles per locus and 314 genotypes with a mean of 8.72. The polymorphism information content (PIC) was between 0.09 and 0.76, and the mean value was 0.53; the gene diversity index (H) ranged from 0.10 to 0.79, with an average of 0.56, while the average observed heterozygosity (Ho) was 0.50 varied from 0.04 to 0.71. The coefficient of the genetic similarity of SSR makers among the tea accessions ranged from 0.49 to 0.89. These results indicated that a considerable genetic diversity existed among these tea accessions. According to the clustering results, 68 tea accessions were clustered into 5 categories with no obvious geographical distribution characteristics based on the unweighted pair group method of arithmetic mean (UPGMA), which hinted that the territorial division of protection for geographic indication-DTBLC tea was appropriate. However, dendrogram based on Nei's genetic distance revealed complex genetic relationships among DTBLC tea germplasm resources, and these collections possessed impressive level of genetic diversity which could be important for subsequent selective breeding, utilization, and conservation of tea germplasm resources in Jiangsu, China. Genetic diversity of the dye-producing Javanese Tom Indigofera tinctoria L. from three Indonesian islands based on simple sequence repeat markers. Javanese Tom (Indigofera tinctoria L.) is commonly used as blue dyes agent by Indonesian fabrics and batik crafters. The research was aimed to identify the genetic diversity and population structure of I. tinctoria L. based on the SSR markers. The research was conducted in 33 regions in three Indonesian islands, with 63 samples. The results from electrophoresis of 15 SSR primers produced 76 bands with 250–750 bp in size. From dendrogram obtained likelihood coefficient of 68–100%. Weirklei3 and Weirklei4 accessions had the highest likelihood coefficient with 100% (same). The highest diversity was recorded in Cirebonean population. The populations from Sumenep, Cirebon, and Flores were grouped as one with high like hood coefficient. Populations from Java, Madura, and Flores islands have high likelihood coefficients. Based on SSR markers, I. tinctoria populations from three Indonesian islands were having a high likelihood coefficient, thus unqualified to be categorized as the infra-species. Of the four species of the genus Satureja (Lamiaceae) that are recognized in Bosnia and Herzegovina, S. subspicata has the the widest distribution. It is taxonomically challenging species of geographically limited distribution and little data on its genetic diversity throughout its range is available. We sampled six geographically distinct populations from Bosnia and Herzegovina and applied nrDNA (ITS1, ITS2), chloroplast markers (matK and trnL) and AFLP to examine genetic diversity of S. subspicata in the center of its distribution range and to explore the possibility of establishing the species DNA barcode. AFLP analysis showed large genetic differentiation among populations as well as moderate correlation between genetic distance among populations and geographic distance among locations. MatK has not proven useful in distinguishing S. subspicata from sympatric species. However, nrDNA sequences provided necessary resolution power, with ITS2 being more informative. Estimates of evolutionary divergence between nrDNA sequences obtained in our research and homologous sequences of sympatric Satureja deposited in the GenBank reveal closer relationship between geographically proximate populations of different species and slight divergence within S. subspicata sequences pool. This outcome highlights the importance of considering overall genetic diversity across the distribution range of a species when assigning DNA barcode. A field experiment was conducted at the National Center for Agricultural Research and Extension in the Jordan Valley, during summer 2015 to evaluate the effect of cattle manure on antioxidant activity of maize leaves. The study also measured the effect of cattle manure on the bioavailability of heavy metals in maize leaves at harvest. Six treatments were compared, no cattle manure (T1, control), and 4 tons ha−1 (T2), 8 tons ha−1 (T3), 12 tons ha−1 (T4), 16 tons ha−1 (T5), and 20 tons ha−1 (T6) cattle manure. ANOVA followed by LSD test were used to compare the treatments at the 5% significance level. Antioxidant activity using DPPH and ABTS were measured for the six leaves extracts representing six treatments of organic manure. A wet digestion method was used to extract the heavy metals from the dry leaf powder samples using atomic absorption spectroscopy. Antioxidant activity for leaves increased significantly with increasing cattle manure amount applied to soil according to DPPH and ABTS radical scavenging activity. The highest antioxidant activity was reached at the highest amount of cattle manure while the control had the lowest. Concentrations of Ni, Cu, Mn, Zn, Cr and Fe contents in maize leaves of plants grown in soil amended with cattle manure were higher compared to plants grown in no-amended soil. Cattle manure amended soil increased Ca, K and P concentrations in the seeds and leaves of maize. The cattle manure was able to encourage a raise on mineral buildup in aerial parts of tested plants. EMS induced point mutations in 18S rRNA gene of Hyoscyamus niger L. an important medicinal plant of Kashmir Himalaya. Hyoscyamus niger contains medicinally important tropane alkaloids such as scopolamine and hyoscyamine. In vitro mutagenesis, in combination with molecular marker methods, is a potent technique to produce genetic variability in medicinal plants. The objective of the study was to induce variation in In vitro raised H.niger using Ethyl Methane Sulphonate (EMS) as a mutagen. For this purpose the callii were treated with 5 different doses of EMS (0.01%, 0.02%, 0.03%, 0.04% and 0.05%) at different time intervals (1/2 hour and 1 hour), and the effect of EMS was observed during morphogenesis. The analysis rvealed that EMS had a profound effect on shoot number and length as well as percentage of shoot formation. 0.03% EMS was seen to be effectively enhancing the average shoot number from 13.5 to 22.0, with 100% callusing response under normal growth regulators. The 18S rRNA gene of the affected plantlets was then amplified and sequenced to observe nucleotide variations, including transitions and transversions, at different concentrations of EMS. Endo-1, 4-β-glucanases are the hydrolytic enzymes which are commonly used for the saccharification of plant biomass. The endo-1, 4-β-glucanase (bglC) gene of moderately thermophilic bacterium Bacillus licheniformis ATCC 14580 was successfully cloned and expressed in E. coli BL21 (DE3) strain by means of pET-22b (+) vector. Purification of recombinant endo-1, 4-β-glucanase (bglC) enzyme was done by utilizing the ammonium sulphate method followed by immobilized metal affinity chromatography (IMAC) and gel filtration. Purification fold of 10.51 was achieved along with enzyme activity and specific activity of 18.25 U/ml/min and 75 U/mg, respectively. The molecular mass of purified recombinant enzyme was 56 kDas determined by SDS-PAGE analysis. The enzyme showed resistance to temperature up to 90ºC at pH 3 - 8. The activity of enzyme was improved in the presence of metal ions particularly Co2+ and Mg2+. Organic solvents showed no significant effects on the enzyme activity and the purified enzyme also showed great stability against inhibitors such as Tween 80, β-marcaptoethanol and DTT upto 90%. Among different tested biomass, the endoglucanse enzyme showed highest saccharification (24.2%) with sugarcane bagass. 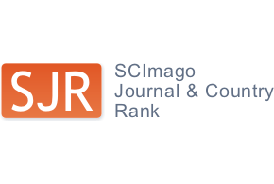 These results showed that recombinant enzyme could be a useful candidate for bioconversion of natural biomass into simple sugars and eventually in biofuel production. The aim of study was to find an effective way of managing growth of lesser canary grass (Phalaris minor) in wheat fields. Sixteen formulations (F1-F16) were prepared by combining the aqueous extracts of sunflower (Helianthus annuus) and neem (Azadirachta indica) in specific ratios (10-40%). Remarkable allelopathic potential was exhibited by improved growth of wheat and inhibition of the weed growth. The regulatory effects were determined on plant root and shoot lengths, free proline and total phenolic contents, and the antioxidant potential of the wheat and weed plants in pot experiment. The findings suggested ‘F3’ as the most effective formulation prepared by combining one part of aqueous extracts of Helianthus annuus with three parts of Azadirachta indica extract [S (10%) + N (30%)], as its application (10 times dilution) stimulated the shoot length of wheat and inhibited the root length of canary grass plants. So, we propose this combination as an effective allelopathic strategy to control growth of lesser canary grass in wheat fields. 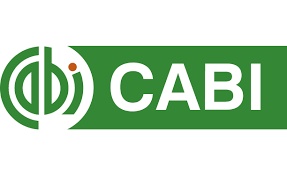 The present study was undertaken to determine interspecific variations of carbon and nitrogen contents of 37 species of woody trees sand shrubs at Linares, Northeastern Mexico. Woods were collected, dried and powdered following standard procedure. Ashed sample was digested in a solution containing HCl and HNO3, using the wet digestion technique. Wood carbon and nitrogen contents (%, dry mass basis) were carried out on 0.020 g of milled dried leaf tissue by using a CHN analyser (Perkin Elemer, model 2400). Wood carbon showed large variations among species (37-51 %) and nitrogen content (0.56-1.97). 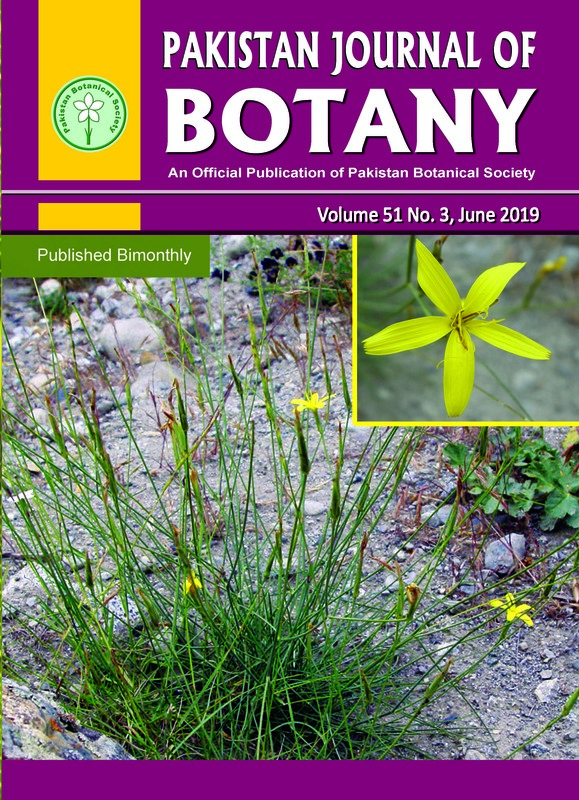 The five species selected with very high carbon percentage are such as Bernardia myricifolia (51.12); Acacia berlandieri (51.00); Leucophyllum frutescens (50.84); Berberis chochoco (50.56); Havardia pallens (50.36). Similarly, the species showed variations in nitrogen content (0.56-1.97). The species containing high wood nitrogen are Acacia greggii (1.98%), Ebenopsis ebano (1.97 %), Sideroxylon celestrinum (1.75 %), Diospyros texana (1.56 %), and Guaiacum angustifolia (1.52 %). The species with high wood carbon are potential sources of bioenergy and carbon sink. These species store high amounts of carbon following carbon fixation by leaves. For genetic documentation and studying the taxonomic relationships, 9 species of family Euphorbiaceae; Euphorbia peplus, E. indica, E. prostrata, E. schimperi, E. tirucalli, E. granulata, Clutia myricoides, Ricinus communis, Chrozophora oblongifolia, were investigated depending on six isozymes and different molecular markers (RAPD, SSR, ITS, ITS2, matK and rbcL). Little data was obtained through the utility of RAPD and SSR primers. The four barcoding loci did not reveal discriminatory bands for all the examined species. The three loci; ITS, matK and rbcL, discriminated E. peplus and E. tirucalli from other species within genus Euphorbia. Banding patterns of the six isozyme systems showed great variability. The UPGMA dendrogram obtained depending on the 40 isozyme bands showed different findings from that of DNA. The DNA data was more accurate than isozymes data as it grouped the three species belonging to subg. Chamaesyce (E. indica, E. prostrata and E. granulata), but isozymes was more effective in separating the subfamily Acalyphoideae. Comparative anatomical and micromorphological analyses of root, stem, peduncle, leaf and inflorescence have been conducted on two Xeranthemum species, X. annuum and X. cylindraceum, by light microscopy (LM) and scanning electron microscopy (SEM). The main goal of the study was to examine the most important anatomical features and to find new valid taxonomic delimiting characters for the first time in both species. Regarding vegetative organs anatomy, the data obtained in this study indicated that both species possessed secondary tissues in the root, although these plants are annual. Also, stem anatomy was a typical of the Compositae family members, and anomocytic stomata type and dorsiventral leaf structure were present. On the involucral bracts surface crystals were noticeable, while highly developed multilayer sclerenchyma was present in the mesophyll. Palea anatomy was very similar to bract anatomy. Some floral features were as follows: lateral anther dehiscence, corolla composed of uniseriate epidermis and with a homogeneous parenchyma in the mesophyll, inferior ovary and anatropous ovule with basal placentation. The specific quantitative characters that were different between the examined species were emphasized. Some selected, well defined qualitative anatomical characters (e.g. shape of the young stem and peduncle cross-sections, type of glandular trichomes and cortical vascular bundles occurrence), on the basis of which the studied species were distinguishable, strengthen the taxonomy of the Xeranthemum genus and provide features for better identification of the taxa. This is the first study of the anatomy of Xeranthemum species and some of the characters found (secondary growth and dorsiventral leaves) points towards an adaptation of mesophilous ancestors to xeric habitats in Xeranthemum. The target of this work was to examine the taxonomical, morphological, anatomical, palynological, and ecological features and geographical distribution of the monotypic genus Pachypragma (P. macrophyllum) growing in Turkey. The flowering and fruiting periods of the species were recorded. Sampling was performed at different areas during 2015 to 2016. In the morphological investigation, the description of the genus was updated as a result of comprehensive evaluations of many samples, and distinguishing characteristics of the species. Moreover, micrographs of the seed and pollen surfaces of the species were taken using scanning electron microscope. The seed surface ornamentation was reticulate or alveolate-reticulate. The pollen grains were mostly radially, isopolar, and prolate, with polar axes of 18.36 ± 0.27 µm and equatorial axes of 12.11 ± 0.18 µm, and their outlines were oval in the equatorial axes and elliptical in the polar axes. The pollen grains were mostly tricolpate. The anatomical structures of the stem, root, and leaf were also studied. The geographical dispersion of the taxon is along the borders of Turkey. The physical and chemical features of the soil with live taxa of the studied taxon were ecologically examined. The species risk category was determined in accordance with International Union for Conservation of Nature criteria. 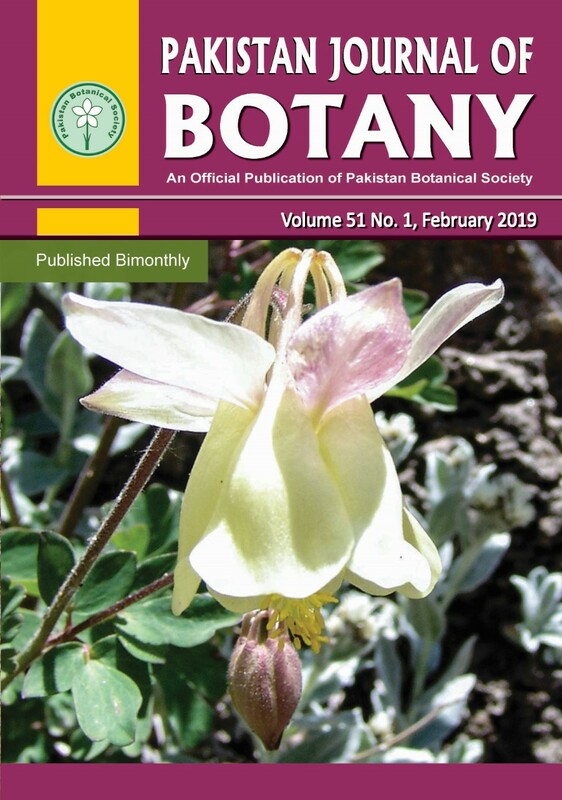 Eighteen species of Rhamnaceae were collected from different geographical regions of Pakistan to resolve its controversial phylogenetic position using morphological and molecular analysis. The phylogenetic tree based on 71 different micro and macro-morphological characters using Paleontological and statistical software (PAST) with Dice’s coefficient showed an overall genetic diversity of 32%. Further, in each species the atpβ gene promoter was amplified, purified, sequenced and the dendrogram was constructed using Molecular evolutionary genetic analysis (MEGA7) tool which divided the sequences into two main clades showing a narrow genetic diversity of 0.05% with well supported bootstrap’s values (95-100%). Pairwise’s distance ranged from 0.12 to 0.73 with a mean value of 0.396. 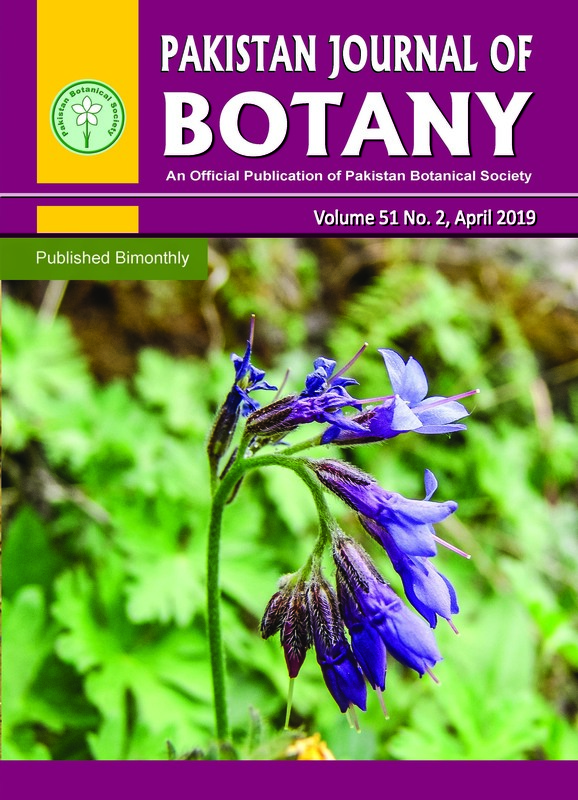 The phylogenetic study confirmed the work done by earlier phylogeneticist with additional reports of some new species, Berchemia pakistanica, Berchemia edgworthii, Berchemia floribunda, Helinus lanceolatus and Rhamnella gilgitica which are indigenous to Pakistan. The analysis of Cis-regulatory elements and its mapping via Plant cis-acting regulatory DNA element (PLACE) and Domain graph (DOG) revealed numerous elements including 50 common and 28 unique, showing variation in copy numbers and locations. 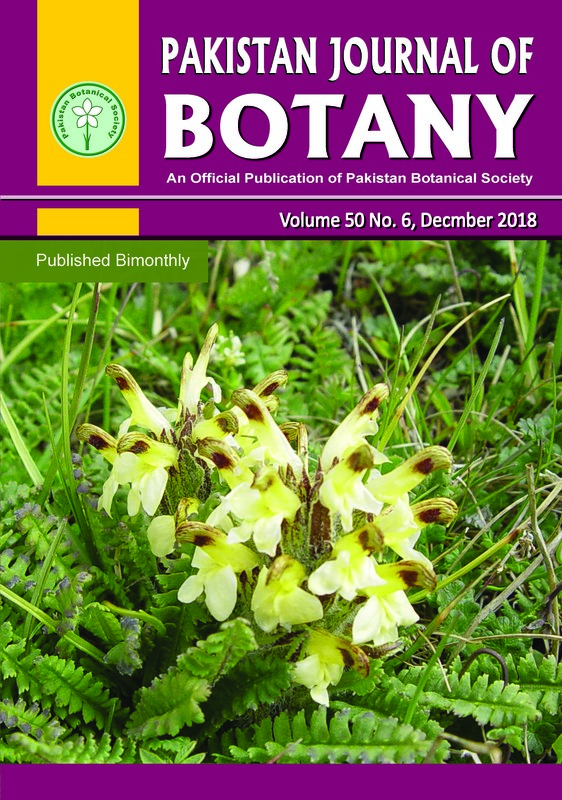 It was observed that Berchemia pakistanica and Berchemia edgworthii have the unique features possessing diverse cis-regulatory elements with diverse functions. Wheat as the most important staple cereal crop of Pakistan cultivated for daily consumption and industrial uses is mostly associated with the composition of gluten proteins, which is the quality of its end-use. This paper reports the results of our research endeavor where 40 wheat genotypes collected from the core germplasm collection of CCRI (The Cereal Crops Research Institute, Pirsabak), were evaluated for seed quality parameters, variation in one high molecular weight (HMW) and two low molecular weight (LMW) glutenin subunits (GS) and association between the seed quality and HMW- GluB1 locus. Our results revealed that the average Total Grain Protein (TGP) content of all the genotypes was 16.5% (ranging from 11.3 to 20.8%), the Glutenin and Gliadins constituents were 23.6% (ranging from 13.30-31.63%) and 17.5% (ranging from 14.95-19.16%) of the TGP. The variable concentration of the gluten protein resulted in Gli/Glu ratio in a range of 0.5 to 1.39. Furthermore, the By9 allele of HMW-GluB1 locus occurred at a frequency of 0.5 and the LMW-GS alleles GluA3e and GluB3i at 0.3 and 0.48. The absence of By9 allele of HMW-GluB1 locus resulted in a significant decrease in the TGP, Glutenin and gliadins content and an increase in the Gli/Glu ratio. TGP was found to be statistically and most strongly associated with the By9 allele of HMW-GluB1 locus. These findings provide a baseline for molecular markers assisted breeding and gene pyramiding for improving wheat varieties. The genus Anthriscus Pers. of the family Apiaceae is a small sized genus with 16 species, distributed in the world. In Turkey it is represented by 8 taxa, distributed in 4 sections. The aim of this study was to determine the genetic proximity and distances of taxa to each other and to identify interrelationships, systematic and phylogenetic relationships using the sequence analysis information of the non-coding trn region in the chloroplast genome of the Anthriscus species in Turkey. The phylogenetic tree showed that the taxa A. caucalis var. caucalis and A. tenerrima var. tenerrima (belonging to sect. Anthriscus) with A. cerefolium var. trichocarpa (belonging to sect. Cerefolium) had completed their speciations and isolation with other species in terms of speciation was provided. It can be said that A. kotschyi, the only representative of the sect. Caroides in Turkey, is isolated having completed its speciation also. The presence of the continuing gene exchange between the taxa can be mentioned, while the taxonomy of the two taxa of A. sylvestris and A. lamprocarpa, two members of the sect. Cacosciadium, cannot be determined more clearly yet. For this reason, it can be said that the A. sylvestris subsp. sylvestris and A. sylvestris subsp. nemorosa taxa, previously identified as two subspecies belonging to A. sylvestris, should be raised again to A. sylvestris and A. nemorosa taxa. In addition, an infrageneric arrangement and subsequent taxonomic regulation need to be made for the subspecies belonging to the A. lamprocarpa taxa. Medicinal plants have an illimitable source of natural compounds for drug development. The study was conducted to authenticate the pharmacological importance of Teucrium stocksianum boiss using different biological assays. Dried powder from the leaves of the Teucrium stocksianum boiss was used to get crude extract with methanol and the resultant yield crude extract was further partitioned with different solvents in an increasing polarity. The extracts were assessed for phytochemicals, thin layer chromatography, antioxidant, cytotoxic, antitumor, antihemolytic, antimicrobial and antituberculosis activity employing different solvents systems. The solvent fractions were assessed for in-vitro antioxidant assays to compute the quenching ability of H2O2 and ethanolic extracts were found more potent to scavenge free radicals (19.2±0.43 µg/ml) as compared to other fractions. The aqueous extracts were found more effective in reducing power assay by showing the highest EC50 value of i.e. 5.5±0.81µg/ml. Significant cytotoxicity against brine shrimp was manifested by ethanol (150.62 µg/ml) and chloroform (138.2 µg/ml) extracts while a conspicuous antitumor activity against Agrobacterium tumefaecins was exhibited by ethanol extracts (87.9±0.02). A moderate antihemolytic activity was noticeable by ethanol and chloroform extracts. Our study highlights the importance of different solvent extraction procedures in the processing of natural products. It also indicates that this study might be a valuable source of natural antioxidants to obstruct the damage linked to free radicals. Therefore, T. Stocksianum boiss could be potentially useful in food and pharmaceutical industry. The relationship between growth and reproduction is a fundamental aspect of the reproductive strategy for a plant. Using an allometric perspective for both vegetative and reproductive traits allows us to understand and predict the impact of environmental change on a plant species. Here, we investigated the allometric relationships in Gentiana rigescens Franch. ex Hemsl. individuals at non-flowering and flowering stages along an elevation gradient in southwest China. We found that the mean values of the metrics were significantly higher in G. rigescens plants at reproductive stage than those at vegetative stage. However, allometric analysis showed that the plants in vegetative stage had higher root and stem biomass than those in reproductive stage at a given size, while leaf biomass showed fixed allometric trajectory. The height of G. rigescens was higher in flowering individuals than that in non-flowering individuals at small size, while the contrary was obtained at large size. Analysis of covariance showed that the root biomass was not affected by elevation, whereas the stem biomass, leaf biomass, and total biomass increased with increasing elevation. In conclusion, allocating biomass to roots and stems in G. rigescens individuals reduced when flowering occurred, but the resource investment in leaves was not changed. As the total biomass increased with increasing elevation, the effects of elevation on leave and stem biomass of G. rigescens could be partly size-dependent. Pollen germination capacity and viability of two species viz., Caesalpinia gellisii (Hook.) Dietr. and Caesalpinia pulcherrima (L.) Swartz. of the family Fabaceae were examined up to 48 weeks. Viability was determined on the basis of germination ability of pollen on sucrose medium with boric acid solution. Fresh pollen were stored at different storage conditions including refrigerator (4°C), freezer (-20°C, -30°C), freeze drier (-60°C), vacuum chamber and organic solvents. Pollen stored at low temperature -60°C showed better germination as compared to pollen stored at 4°C and fresh. C. pulcherrima showed much better germination percentage at -60°C (61.00%) whereas, C. gellisii, showed 30.80% germination after 48 weeks of storage. Pollen stored over silica gel in vacuum of both the species showed good germination as compared to organic solvents. Freezer (-20ºC & -30ºC) and freeze dryer (-60ºC) maintained pollen germination capacity and viability for a longer period as compared to fresh, refrigerated, pollen treated in vacuum over silica gel and organic solvents. Conclusively both low temperature and RH humidity are the most influential factors in controlling germination and viability of pollen grains. The most frequently indicated taxonomically significant features among species of the genus Plagiothecium are qualitative features. However, there are no articles in the literature which describe the analysis of variability or provide the statistical analysis of these features. The material for this research came from Central and Eastern Europe, from the largest Herbaria in: Hungary, the Czech Republic, Slovakia, Poland, Lithuania, Latvia, and Estonia and Ukraine. 2 107 specimens described as P. nemorale sensu lato were revised, out of which 140 specimens were selected for detailed research. They were tested for 11 qualitative features and statistically analysed. The analyses show that the studied features to a different extent co-exist with each other and among the tested specimens two groups can be distinguished. In addition, we can indicate that four features make it possible to distinguish specimens belonging to particular groups: the shape (SHA), the serrations of the leaf apex (SEA), and the shape of the cells from the top and middle part of the leaf (SC1, SC2). Chrysanthemum (Chrysanthemum morifolium) is perennial short day flowering plant. Nodal explants of Chrysanthemum were cultured on simple Murashige and Skoog (MS) media, MS media supplemented with different concentrations of 6-Benzyl adenine (6-BA) alone and in combination with different concentrations of Naphthalene acetic acid (NAA) or Thidiazuron (TDZ) for shoot initiation and the regenerated shoots were sub-cultured on MS, ½ MS and ¼ MS media for rooting. No shoot induction was recorded in explants cultured on simple MS, but the phyto-hormones addition to MS media resulted in 100% shoot induction. In case of MS media supplemented with 6-BA, maximum shoot buds (12) and shoot length (6.06 cm) explant-1 were recorded when 44.39 µM 6-BA was added to MS media. In case the MS media was supplemented with 6-BA+NAA, maximum (11)shoot buds explant-1 were recorded in explants cultured in MS+88.79 µM 6-BA+10.74 µM NAA media. Among the different concentrations of 6-BA+TDZ added to MS media, maximum (6.67) shoot buds explant-1 were recorded for explants planted in MS+88.79 µM 6-BA+9.08 µM TDZ. The regenerated shoots were then sub cultured on MS, ½ MS and ¼ MS media for rooting. In that case, there was non-significant effect on root length. However, maximum (15.78) roots were recorded for those cultured in ½ MS media. Thus it is concluded that supplementing MS media with 44.39µM 6-BA is the best concentration for rapid shoot regeneration and½ MS is optimal for the In vitro rooting of Chrysanthemum morifolium. Acridocarpus orientalis, an arid land plant and famous in Arabian region for medicinal values, has been investigated for its biological and ecological role in the current study. The methanol (JAOMF) extract of stem and leaves of A. orientalis along with various fractions (n-hexane; JAOHF, chloroform; JAOCF, ethyl acetate; JAOEF, n-butanol; JAOBF, and aqueous; JAOWF) were tested for allelopathic, cytotoxic, anti-fungal, antioxidant and enzyme inhibition activities. In case of allelopathic potential, the higher concentration (100 mg) of dried leaves and stem were significantly suppressing the lettuce seed germination as compared to control. Among various fractions, n-butanol and chloroform have inhibited the radical and hypocotyl growths of lettuce seeds in a dose-dependent manner. The fractions showed a week growth inhibitory effects against Chitomium globosum, Fusarium oxysporum, and Aspergillus niger. Total flavonoid contents were significantly higher in ethyl acetate (279.85 μg/g of dry extract) and n-butanol (142.22 μg/g of dry extract) fractions of stem while n-hexane (77.6 μg/g of dry extract) fraction of leaves showed higher flavonoid contents. Total phenolic contents were found higher in the ethyl acetate fraction of stem (16.8 mg/g of dry weight) followed by n-butanol (10.6 mg/g of dry weight). Aqueous fraction of leaves showed significantly higher anti-lipid peroxidation (60.6%) activity followed by chloroform (49.9%). Higher concentration of chloroform fraction of stem expressed higher cytotoxic effects for adenocarcinoma and hepatoma cancer cell lines as compared to other fractions. The extracts and its derived fractions from two important medicinal plants species Calligonum polygonoieds and Typha latifolia were tested for microbicidy against two bacteria and two fungal pathogens and preliminary phytochemical evaluation. The crude extract and fractions from C. polygonoieds plant were found to be most potential against Pseudomonas aeruginosaas compared to Escherichia coli. The ethyl acetate and n-butanol fractions showed moderate inhibition zones of 8 mm against P. aeurginosa followed by crude extract, n-hexane and chloroform fractions each giving 7 mm zone of inhibitions. The crude extract and ethyl acetate fraction of C. polygonoieds revealed 8 mm inhibition against E. coli followed by chloroform fraction with 7 mm zone of inhibition. In case of T. latifoliaplant crude extract and aqueous fractions were found to be the most effective against Pseudomonas and E. coli giving inhibitions zone of 10 and 11 mm respectively. Chloroform fraction of the plant showed 8 mm while other fractions showed 7 mm zone of inhibition. Both the selected plants were found equally potential against the tested fungi. n-butanol fraction of C. polygonoieds gave 10 mm zone of inhibition against F. oxysporum, followed by crude extract of ethyl acetate showing 8 mm. The n-hexane and chloroform fractions showed 11 mm of inhibition against A. alternata. n- hexane fraction and crude extract from T. latifolia gave 11 mm inhibition against F. oxysporem and A. alternata. The selected plant extracts were analyzed for the presence of different bioactive chemical groups. In preliminary phytochemical screening alkaloid, phenol and saponins were found in both plants. After the result and screening of the selected research plants it is concluded that both plants are potentially active and showed good antimicrobial activity and presence of important phytochemicals. Two field trials were conducted at the farm of the University of Agriculture Peshawar, Pakistan in 2014 and 2015, to investigate the effect of intercropping on maize, mungbean, cowpea and sesbania, in which maize was the main crop and the others were intercrops. A two factorial design was used. Factor A comprised of pendimethalin application as pre-emergence and no herbicide application. Factor B consisted of four mono-cropping treatments of Zea mays L. (maize), Vigna radiata (L.) R. Wilczek (mungbean), Sesbania sesban (L.) Merr. (sesbania), and Vigna unguiculata (L.) Walp. (cowpea), along with six intercropping treatments viz. 5 legumes rows and 6 maize rows in combinations i.e. mungbean+maize, cowpea+maize, sesbania+maize, and also 10 legume crops rows and 6 maize rows in combinations mungbean+maize, cowpea+maize, and sesbania+maize. The results indicated a significant influence of the years, the use of herbicide, the treatments of intercropping, and the interaction effect of the herbicide x intercropping on the yields of studied crops which meant that the differences among the observations were statistically significant. For the year effect, the mean yields were higher in 2014; while for the effect of herbicide use, the maize grain yield was higher in pendimethalin applied plots. Stating the effect of intercropping, mungbean grain yield was highest in plots of mungbean mono-cropping and lowest in mungbean: maize intercropping (sown in ratio of 5:6 rows). Cowpea and sesbania biomasses were significantly higher in herbicide plots and also in mono-cropping plots of cowpea and sesbania plots, respectively in 2014 and 2015. The values of the Land Equivalent Ratio (LER) were between 1.40 and 1.49 for all the intercropping treatments, with the highest LER calculated for sesbania-maize intercropping (10:6 rows). Therefore, the herbicide pendimethalin as pre-emergence @1.5 kg ha-1 in maize crop along with intercropping of any of the studied legume crops at the 1:1 row sowing ratio is the best combination for achieving desirable weed control, higher crop yields and greater LERs. Pakistan has extensive iron (Fe) deficiency in its calcareous soils in Pothwar tract. The problem leads to Fe deficiency Chlorosis in peanut (Arachis hypogea L.) due to high pH and high bicarbonate levels. Foliar as well as soil applications of Fe-EDTA, FeSO4 and sequestrene were used in pots for amelioration of Fe deficiency in already screened genotypes BARI-2000 (Fe deficiency tolerant) and BARD-699 (Fe deficiency sensitive). Pod number of BARI-2000 increased upto 36% by foliar treatments of Fe-EDTA as compared to control. Soil applications of FeSO4 resulted 22% increase in pod number in BARI-2000. Pod number of BARD-699 was increased upto 62% and 52% as compared to control when Fe-EDTA and sequestrene were applied as foliar application. Strong correlation was found among photosynthetic rate and total Fe in BARI-2000. Similarly transpiration rate was positively correlated with total Fe and transpiration rate in BARI-2000. In BARD-699 strong correlation was found among photosynthetic rate and morpho-physiological parameters. Similarly transpiration rate was positively correlated with different parameters. Our results suggested that foliar applications were more effective in combating Fe deficiency in peanut. Turmeric (Curcuma longa) and Cumin (Cuminum cyminum) seeds are common spices used in foods and are necessary commodity of kitchens. They have known potential in health and pharmacentical industries. In present study, we explored the antibacterial, antifungal, antioxidant and functional properties of turmeric and cumin seeds extracts. The extracts were also used against Escherichia coli in active packaging for pathogen control and food safety. It was found in the study that, phlobatannins, flavonoids, alkaloids and quinon were absent while the coumarin and terpenoids were present in cumin, whereas turmeric was found rich in phlobatannins, flavonoids, alkaloids, terpenoids and quinon except coumarin, which was found absent. The total phenolic contents of cumin and turmeric were estimated as 51.2 mg/g and 20 mg/g of dry weight equivalent to gallic acid. The DPPH radical scavenging activity of 44% and 46% were recorded for cumin and turmeric respectively. The FTIR analysis established the presence of different functional groups preliminary confirmed by chemical analysis. Both cumin and turmeric were found active against a group of pathogenic bacteria including, Salmonella typhi, Pseudomonas aeruginosa, Staphylococcus aurous and Escherichia coli. Enhanced antibacterial activity of cumin was noted compared to turmeric extracts. Both extracts were found active against different fungal species, Mucor mucedo, Aspergillus flavus, Aspergillus niger and Saccharomyces boulardii. Cumin and Turmeric extracts incorporated in alginate- based film for packaging and foodborne pathogens control in meat were found reducing the number of pathogenic bacteria E. coli. The present study aimed to investigate the effects of magnetic field and rhizobial inoculant on the Alfalfa's growth parameters (leaves, nodules number, shoot and root lengths) and nitrogen fixation process. Inoculated and non-inoculated seed with Sinorhizobium meliloti were subjected to 0.75mT and 1.5mT intensities of magnetic field. Plants were analyzed after 60 days growing. Findings showed 1.5mT magnetic intensity reduced growth parameters, nitrate reductase (NR), nitrite reductase (NIR) and ammonium content, while nitrate and nitrite content increased in comparison with the control group. Application of rhizobial inoculant with 1.5mT intensity increased growth parameters, NR, NIR activity, nitrite, and ammonium content, while it reduced nitrate accumulation in comparison with the single application which was received just 1.5mT intensity. A separate application of 0.75mT intensity increased growth parameters, but had no effect on NR, NIR activity, ammonium, nitrate and nitrite contents, while using rhizobial inoculant individually and combined with 0.75mT intensity increased growth parameters, NR, NIR activity, and ammonium content. Also, it decreased nitrate and nitrite contents as compared to the control. As a result, it could be concluded that rhizobial inoculant application, alone or in combination with a suitable magnetic intensity (0.75mT), could be used as a biofertilizer for vegetable production in sustainable and ecological agricultural systems. The storage of food products and grains against creepy-crawly creatures that damage the crops is a serious problem throughout the World. The study was conducted to evaluate the effect of four plants extract Peppermint (Mentha piperita), Thyme (Thymus vulgaris), Rosemary (Rosmarinus officinalis) and Lemon blam (Melissa officinalis) against two pests Trogoderma grananium and Tribolium castaneum to check the percent mortality rate of larvae and adults. For the preparation of extract fresh leaves of concern plants were collected and dried. The dried leaves were grinded and each plant samples (5grams) were soaked in 100 ml of ethanol. The liquid extracts were filtered and poured for experimental purpose. Three replications were made for each treatment. 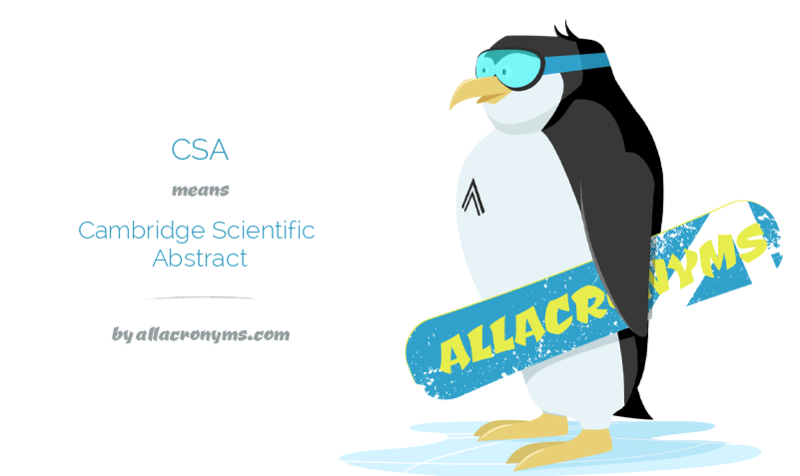 Statistical analysis was done by RCB method and package used for calculation was M-statC. Results revealed that all the plants extract had lethal effect against adults and larvae of both stored pests as compared to control treatment. Rosmarinus officinalis extract was the most efficient against the adults of both stored grain pests, causing 58.67% mortality in Tribolium castaneum and 80.00% mortality in Trogoderma grananium. Similarly, Rosmarinus officinalis also showed maximum mortality against Tribolium castaneum larvae (58.67%) and Trogoderma grananium larvae (65%). It is concluded from the above results that Rosmarinus officinalis showed the highest mortality rate against larvae and adult of both stored grain pests. Insecticidal effects of plants extract have been considered to be most effective and accessible to control several insect pests. This biological method for controlling stored grain pest is an efficient technique as compared to chemical method because of their high toxicity that affects the quality of crop and very costly which is not affordable. Role of fluorescent Pseudomonas associated with root nodules of mungbean in the induction of nodulation by the rhizobia in mungbean. Fluorescent Pseudomonas has been reported to associate with root nodules of a number of plants and play role in plant disease suppression and increased plant growth. However their role in nodule formation is still unclear. In a gnotobiotic experiment, combined effect of two isolates each of fluorescent Pseudomonas (NAFP-19 and NAFP-32) and rhizobia (Rhizobium vignae (NFB-103) and R. vignae (NFB-109) on nodules of mungbean was evaluated. The results showed an increase in the number of nodule primordia, mature nodules and the concentration of nitrogen and phosphorus in mungbean plants. In screen house experiment, garden soil which was naturally infested with root rotting fungi and rhizobia was used. Dual application of Pseudomonas and rhizobia in the garden soil produced greater number of nodules per plant and higher nitrogen fixation than when rhizobia were used alone. Dual application of bacteria also suppressed root rotting fungi. The results showed that nodule associated fluorescent Pseudomonas played a role in plant-rhizobia symbiosis.